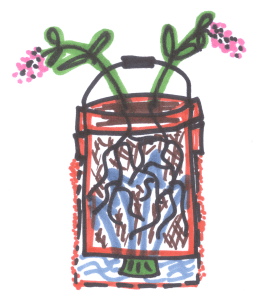 At first, there’s the female flower with a little green bulb behind it. 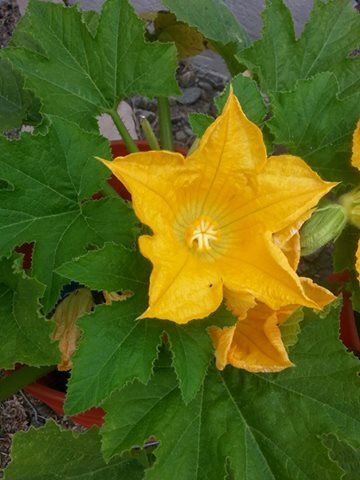 Pollen from the male flowers, which are on straight stems, fertilize the female flower, causing the little green bulb to develop into a squash fruit. 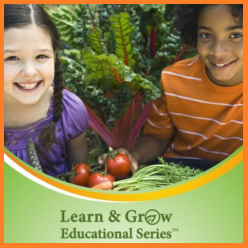 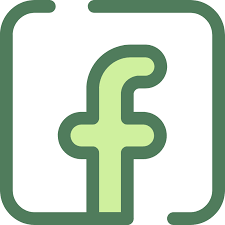 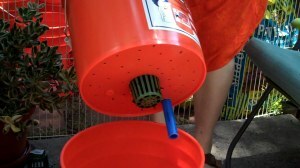 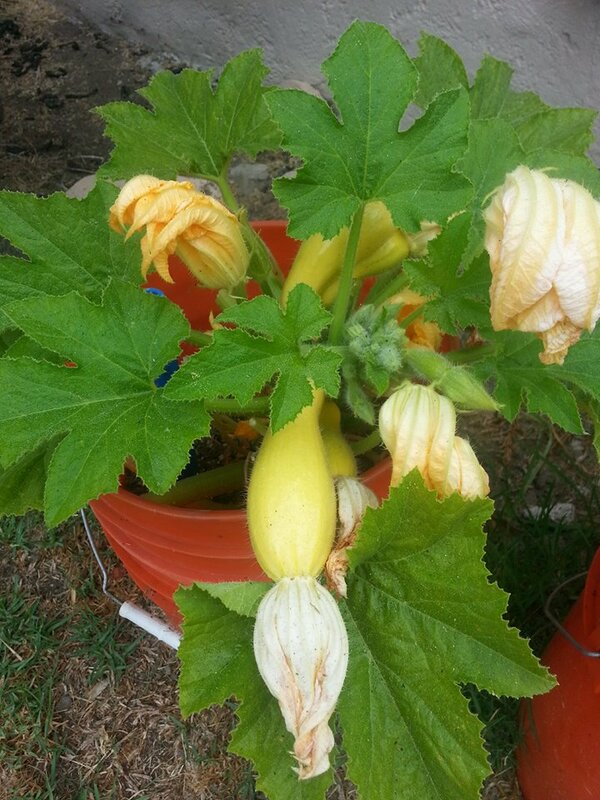 Once the flower has been fertilized, it dries up and the little green bulb grows into a new, developing squash fruit. 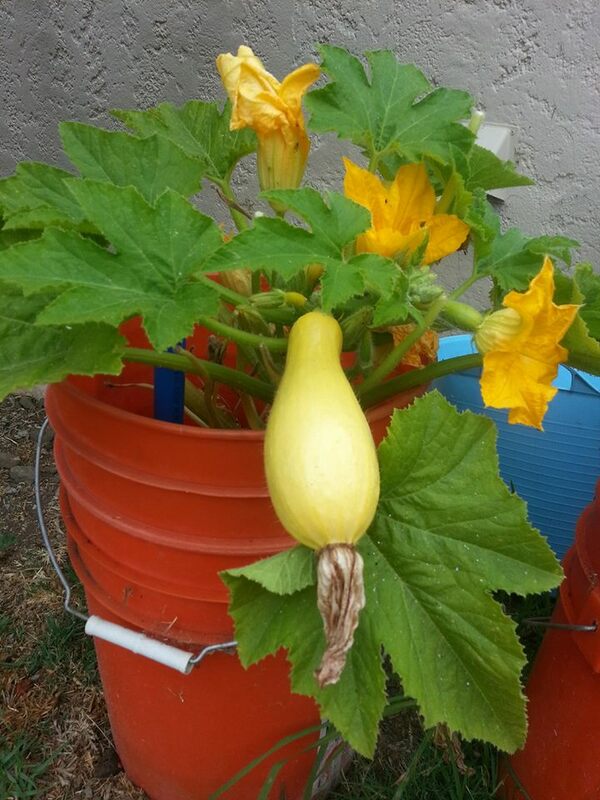 Over a few days, with adequate water, sun, soil nutrients, and protection from pests, the squash fruit gets fatter and longer. 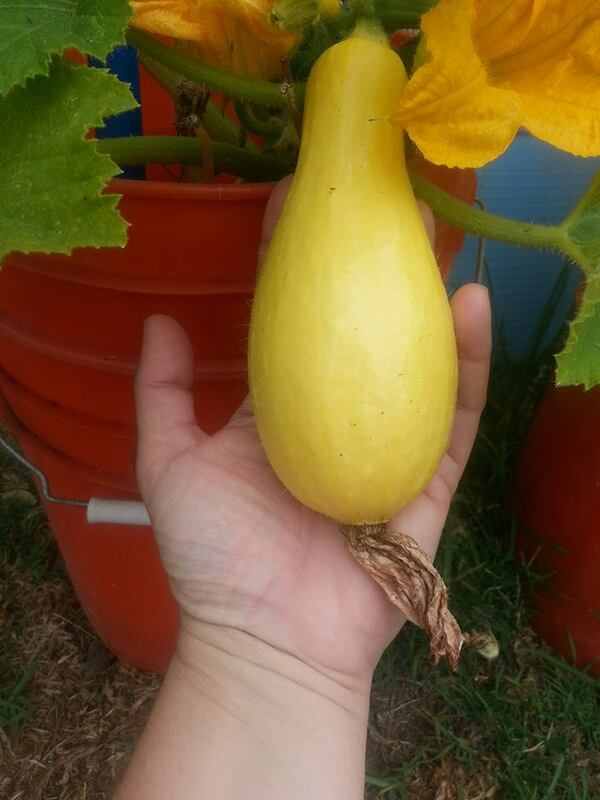 In just a few more days, the squash fruit is ready to pick. 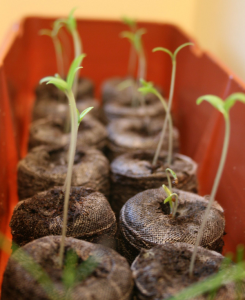 Squash is delicious when combined with other fresh garden vegetables. 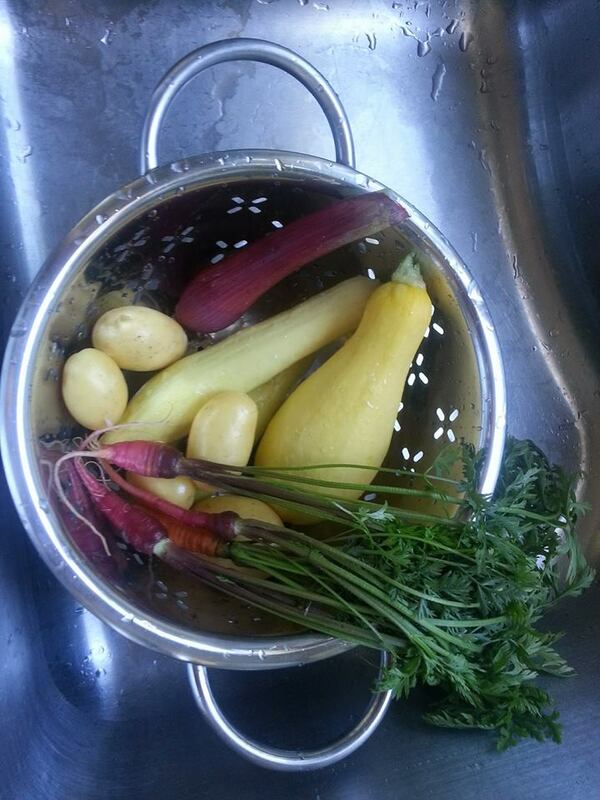 All the veggies pictured here were freshly picked from our Learn & Grow test garden. 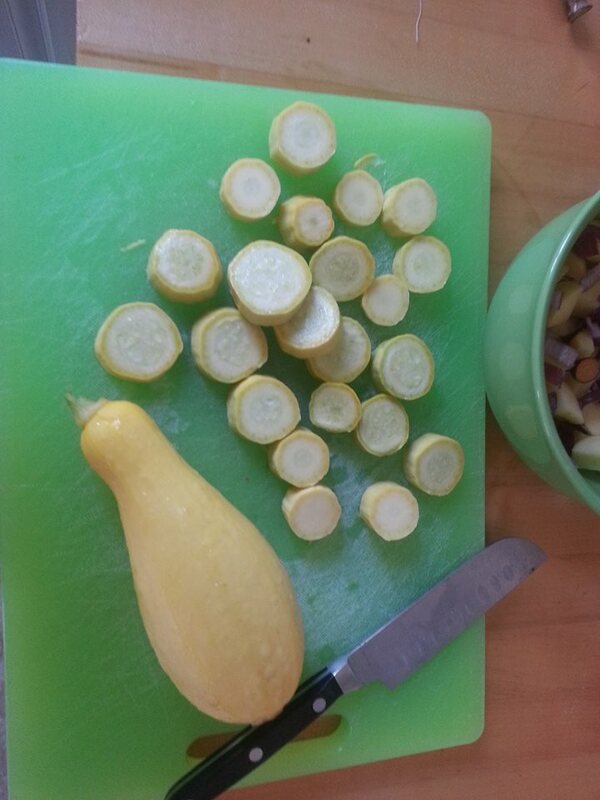 The picked squash fruit is waiting its turn to be chopped up for the skillet. 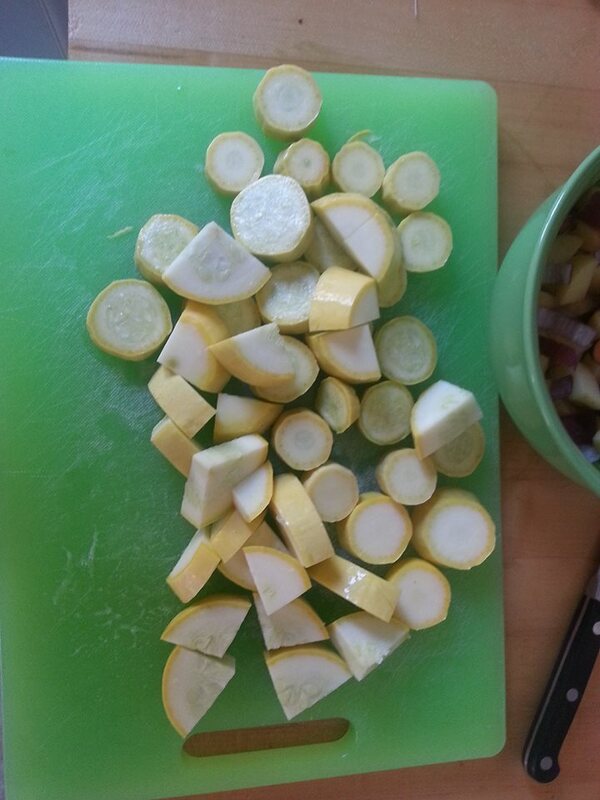 All the squash is now chopped. 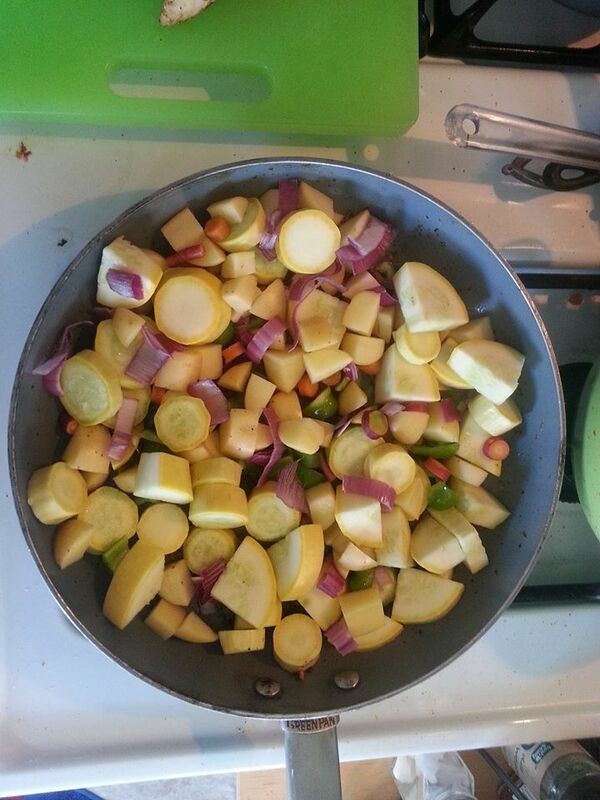 All the chopped veggies and squash are in the skillet, waiting to be cooked. 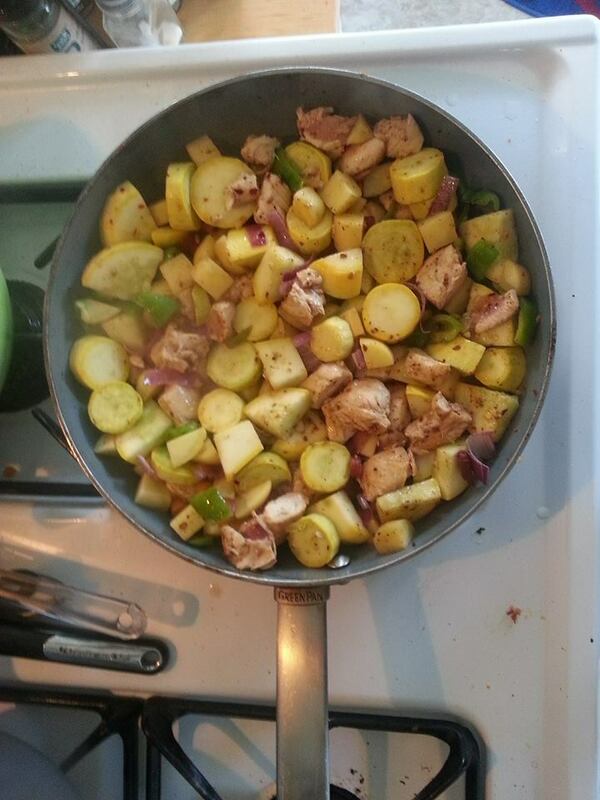 The squash and other garden veggies are cooking in the skillet with chicken. 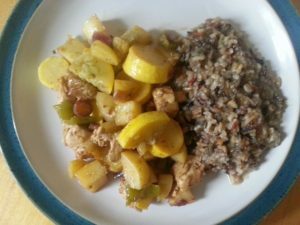 Sauteed squash and veggies from our Learn & Grow test garden with chicken, served also with wild rice.